Article from the Courier-Journal by Phillip M. Bailey. The National Rifle Association is at odds with one of Kentucky’s most fervent gun rights proponents, saying he’s spreading misinformation about a bill to improve the country’s gun background check system. 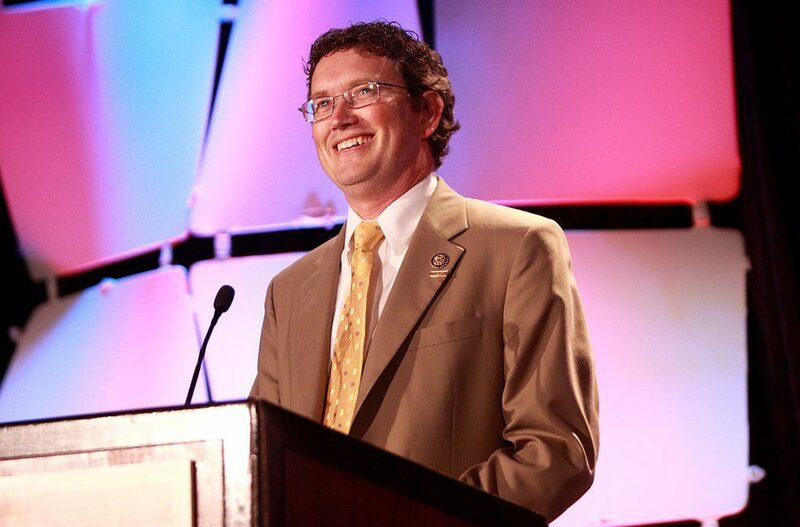 Republican Congressman Thomas Massie is an avid gun collector and has opposed nearly every effort to regulate firearms, including discussions to ban bump stocks for semi-automatic weapons after the deadly massacre in Las Vegas, Nevada. “It’s an odd day in Washington, D.C., when the NRA supports legislation backed by Sens. (Diane) Feinstein and (Chuck) Schumer,” Massie said. The legislation, which has bipartisan support, emphasizes a requirement that state and federal agencies report all infractions involving firearms to the national database. It seeks to create financial incentives for law enforcement to restrict access to guns for those with disqualifying records, such as criminal or mental health histories. Read the entire article at the Courier-Journal.